Botanicals was established in 2003 in a small, rural Leicestershire village and their products are inspired by the English countryside in which they are made. When I was asked to try a couple of their products I was thrilled. 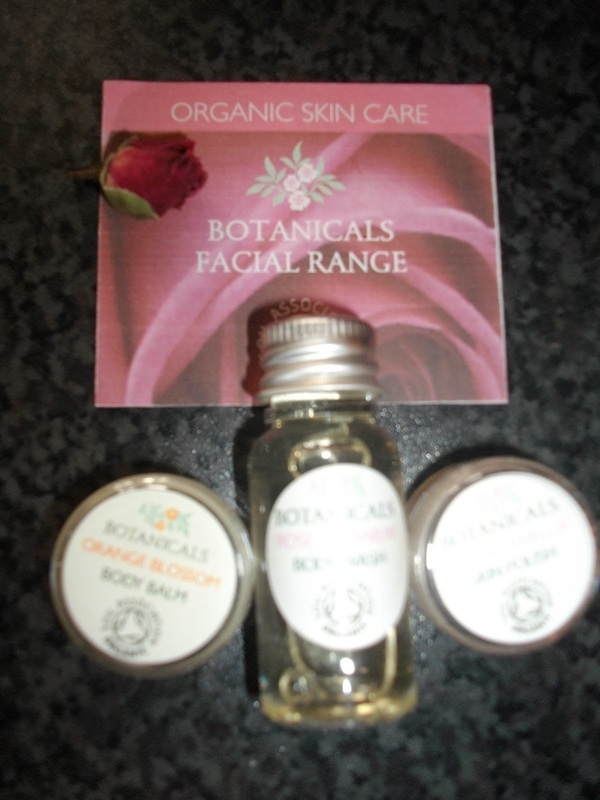 The three products, Rose Geranium Bodywash, Orange Blossom Body Balm and Rose and Camellia Skin Polish came in a clear bag with a dried rose which I thought was a lovely touch. 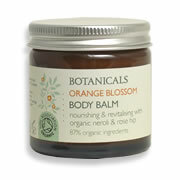 The first product I tried was the Orange Blossom body balm, the pot I received was 5g and I was expecting to use the whole pot in one go, however I found that a small amount went a long way so I was pleasantly surprised. It was quite solid in the pot but when you got it on your hands it immediately became softer and was easily absorbed into my skin. I found it to be very effective at moisturising the dry patches on my arms and it smelt amazing too. A 50g pot is £16.95 but as you only need a small amount a jar will last a long time. The Rose and Camellia skin polish is the best facial product I have ever tried. It is a natural exfoliating cleanser with rose hip kernel which is very gentle on your skin but very effective. My skin looks much brighter after using it and it left my skin lovely and smooth. Again it is solid in the pot but immediately becomes softer on your hands and means it can be applied to your face easily. It's not cheap as a 50g pot is £18.50 but you don't need much so it will last a long time. The fragrance is lovely and I am looking forward to trying the other products in the range. The Rose Geranium Body Wash again smelt fantastic and like the other products you only needed a small amount. It lathered well and left my skin feeling clean and lightly fragranced. 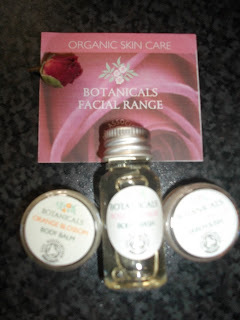 Botanicals kindly gave me these products for the purpose of this review however the words and opinions are my own.